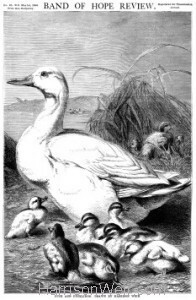 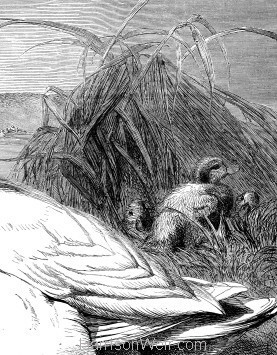 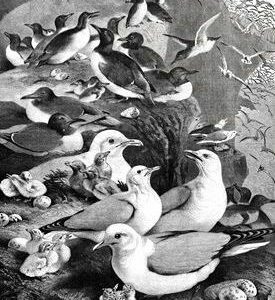 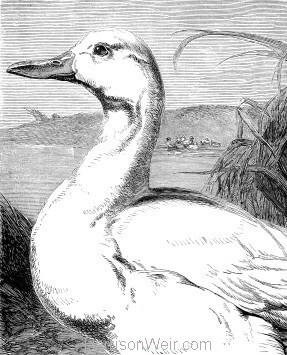 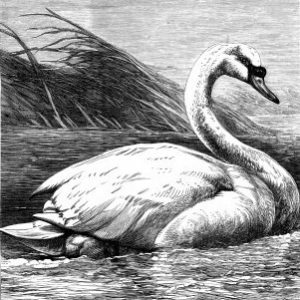 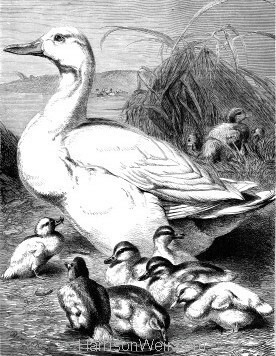 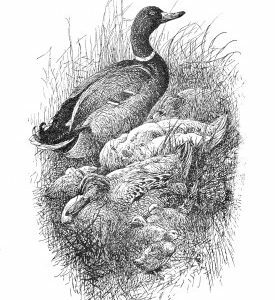 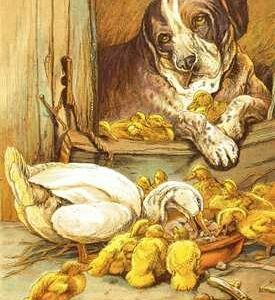 A beautiful study of “Duck and Ducklings, produced for the cover page of the “Band of Hope Review”, published May 1st, 1866. 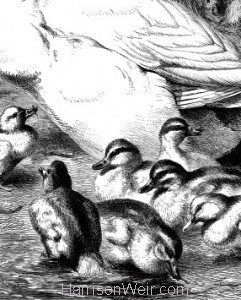 A tasteful renditon of mother duck and her ducklings beside a body of water and in the company of other ducks and ducklings. We have provided some detailed images from the body of the picture. Currently available in A4, A3 and A2 sizing options.